I love the deceptive simplicity, humour & magic of this book. Odd rescues a bear in difficulty, and is drawn into a quest to help three gods return to their home in Asgard. Gaiman's prose is clear and uncluttered and his sense of adventure finely balanced: cosy, not safe. He delights, but never coddles the reader. 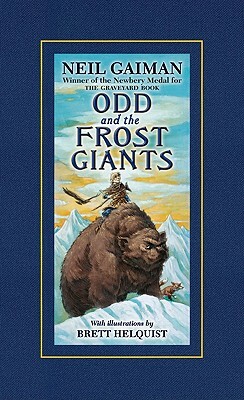 I highly recommend this tale for adults as well as young people.